Lemon got these Little Critter lift the flap books for Christmas and they are all she has wanted to read for the past couple of days. Today, she read Little Critter Jack & the Beanstalk by Mercer Mayer to me, in the bathroom. Ha. Nani, my mom, watched Lemon overnight so Daphne was at her house this morning! Lemon found Daphne wrapped up under the Christmas tree! Daphne decided to read a book to all of Lemon's friends last night, while Lemon was in bed with me! And of course, Lemon took this opportunity to put on a performance for all of her friends! Daphne was found painting Lemon's new big girl room today! On Daphne's last day, she decided to take a bath in Lemon's kitchen sink, in marshmallows! Goodbye Daphne, we'll miss you!! Today on Moms on Mondays I am happy to feature Veronica from MVJ: Miss Veronica Jean. I've not actually met this mama in person but she lives near me and we have some mutual friends. She is super talented and I'm SO excited that she recently started making kids clothes, they are just so cute! She made our friend Jenny's daughter, Valli, a denim, bell romper and the pictures are just amazing. Read her post below and then go shop (and check out her Instagram for more products/styles she's made). The name of my shop is MVJ: Miss Veronica Jean and you can also find me on Instagram. 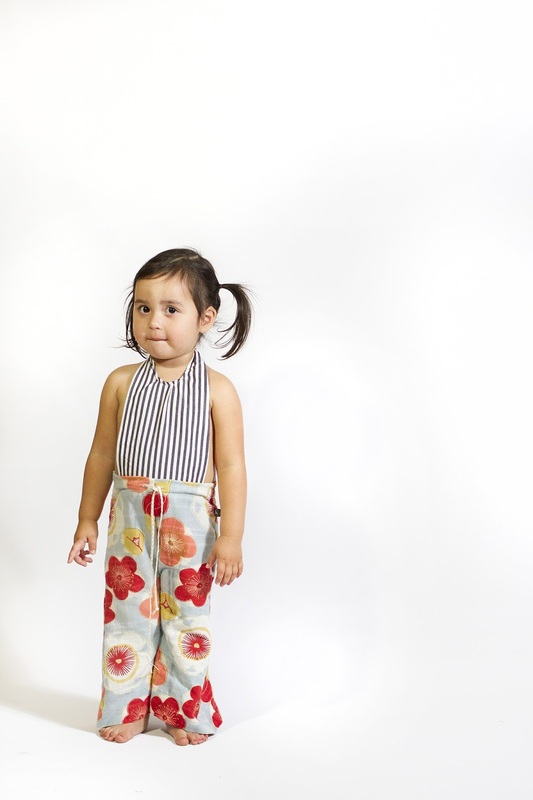 I make small batch, one-of-a-kind children's clothing using sustainable and/or organic materials. I am a graphic designer by trade, so it is fun for me to design the fabric myself and have it printed, or I will responsibly source it. While I have only been a real "shop" for a little bit, I began this venture almost 3 years ago when my daughter, Eris was born. She came into the world 10 weeks early (at 2 lbs 4oz), and was in the NICU for over a month. Being so preemie, I was concerned about her sensitive skin and finding clothing that wouldn't irritate or cause her trauma putting it on or taking it off. If you've every had to shop for a preemie - it doesn't make you stop and smile, it's more like, exhale and say, "Well, it's the only thing here." So I started making her things - items that I felt were as unique as she was, and gave her a personality. First, was a velcro wrap around dressing gown, then leggings, then rompers. I really loved making her things that made her life easier, and made her stand out for being an individual (even though a baby), and not for being so tiny. I loved visualizing something in my head and bringing it to life. Over the past couple of years we have had to deal with a lot of things that put - and keep - this life in perspective. My mother passing away resinates with me every day and pushes me to stay OUT of my comfort zone, and to take as many risks as I can. Life is short, and unexpected, it truly is what you make it. So, I finally decided to put all of my hesitations aside, and just put myself out there to see what happens. In a weird way, staying up and sewing into the wee hours of the night is oddly therapeutic. I process a lot from my day, from my past, and think about the future while I sew. My mom made everything by hand for us - 3 sisters and brother - and I know she's happy with what I'm doing. Right now, I produce everything by myself, but eventually I hope to delegate small projects to family and friends, and have it be something that brings us all together. That is the ultimate goal! 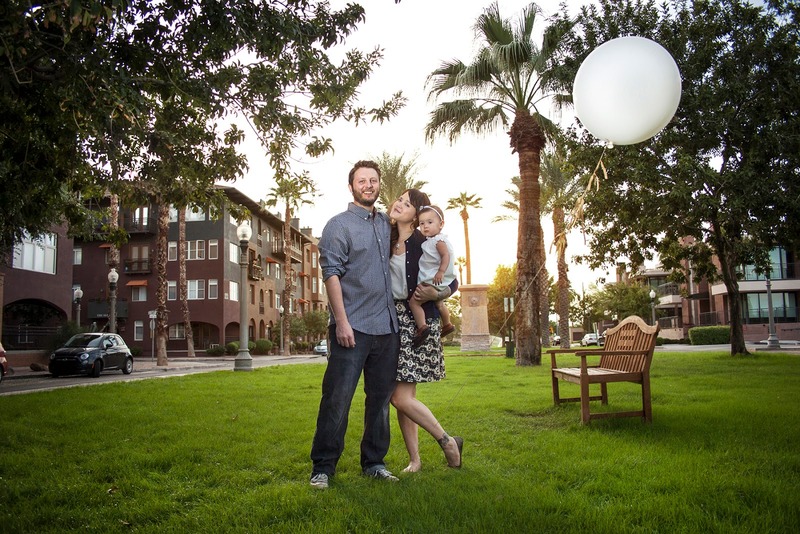 Finding time to juggle work, family and manufacturing has been the hardest part of all of this. I feel like I'm a sweat shop sometimes, but in the end it's all worth it! I've had to remind myself that I started this to BE CLOSER to my family, not further away. So, even if I have a pile of things to make, I'll put them aside to chase my kid around the park or watch a movie with my husband. If anyone were to ask me for advice I would say all of the things you hear - trust your gut, put yourself out there and believe in yourself. All of those things, although cliche, are so true. But most importantly, I'd say to be nice. Take things at a pace you can keep up with, don't expect anything, and really, really enjoy what you are doing. Then I'm sure I'd ask them for their advice because small business is all about sharing what you know and building a community.